DRI Production Sale - DOWNEY RANCH, Inc.
51 100% 1A Red Angus Bulls from Kniebel Cattle Co. Older bulls can cover more cows and don't fall apart! Will update frequently in October. Always refresh you're page if you're stopping by to make sure you're seeing the most up-to-date information. 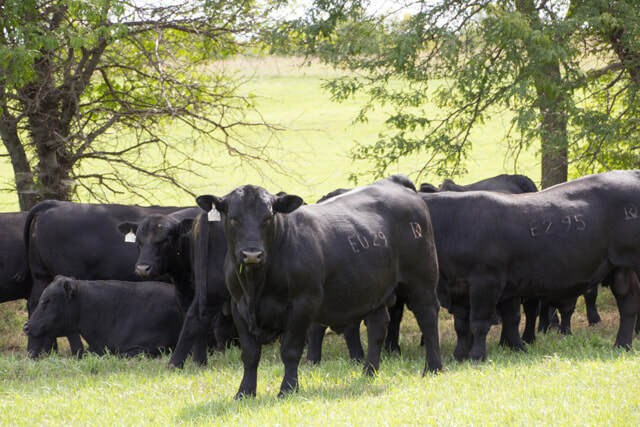 Commercial Heifer listing: Coming soon! DVAuction.com WILL HAVE handy video catalog of ALL the sale lots (blacks, reds, reg heifers, comm heifers), along with their catalog tiles (pedigree, EPDs and comments) and a still picture if one's available. Nice way to see everything! Coming mid-October. Go to the Bull and Commercial Heifer pages for individual videos. Coming mid-October. If you can't make it to the auction in person (always your best option), we understand. Sometimes distance, scheduling, harvest or other factors keep you from attending in person. That's why we continue to offer online bidding through DVAuction.com. You'll need to receive bidder approval through them before the sale. In addition, you'll need access to a high speed internet connection. Contact DVAuctions for complete information. Of course, we'd like you to join the mailing list if you haven't already. That way, you'll get a copy next year without you having to do anything but pick up your mail! When available, PDF copies will post here too. Mail one to me please.